Instant Pot Italian Sausage and Bean Soup is a perfectly satisfying and easy one-pot dinner for a weeknight! I love this recipe that Eat at Home writer, Kim brings us today! I love Italian sausage, and use it in the place of, or in addition to, ground beef in many recipes. I also really like Italian sausage subs. You can usually substitute it in the place of meatballs on a meatball sub or chicken in a chicken parm sub. I can not tell you how many of these I ate during my first pregnancy! Maybe that’s why my oldest loves sausage. This recipe is basically a sub sandwich in casserole form, and comes together quickly and easily. I used a cheese bread loaf purchased from my grocery store’s deli, but any good thick bread will work. You can’t have too much cheese in my house! I also used turkey Italian sausage, reduced fat cream cheese and light mayo to cut the calories a little. You can use your favorites. Speaking of favorites, the sauce pictured – Newman’s Own Sockarooni, I highly recommend it! I usually cut this recipe in half, so pictured is an 8 x 8. The recipe below is for a 9 x 13 casserole dish. You could also add peppers and onions, but I have to pass on that to get my kids to eat it. I even have to puree my sauce so there are no chunks! Any one else have super picky eaters? All the flavors of an Italian Sausage sub sandwich, in casserole form! Cook Italian sausage links according to package directions. Cut into 1 inch chunks. While sausage is cooking, slice bread into 1 1/2 inch slices. Spray or brush with olive oil. Sprinkle with garlic powder. Broil until lightly toasted on each side. Place toasted bread in a single layer in a 9 x 13 casserole dish. In a small bowl, combine cream cheese, mayo, Italian seasoning and pepper. Spread cream cheese mixture over bread, and top with 1/2 the cheese. Place Italian sausage over cheese. Pour spaghetti sauce and water over the sausage and top with remaining cheese. I do love a casserole, and this one is a keeper! Kim M. is a contributing writer for Eat at Home, as well as the mom behind the mayhem at Makin’ it Mo’Betta. There you will find kid-friendly recipes, quick and easy meals, and lots of desserts! When we have Italian Sausage, I usually serve it over pasta. Ragú recently asked me to give a twist on a traditional dish, so I decided to serve the Italian sausage and peppers on buns instead. And I wanted to use the slow cooker for the recipe too. I love my slow cooker! The Ragú® Old World Style® Traditional Sauce made it a cinch to prep this meal. And it tasted fantastic! I toasted the buns in the oven, then topped them with the Italian sausage and peppers in rich tomato sauce, covering it all with slices of provolone cheese. The boys in my house especially loved this meal. The leftovers got finished off as a night time snack. Anyone else have teenage sons who eat two dinners? In a skillet, brown the sausage on all sides. Place sausge, onion, peppers, Ragu and Italian seasoning in slow cooker. Serve sausage and peppers on hoagie rolls, topped with cheese. 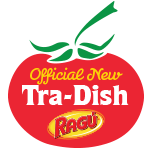 With 11 tomatoes in every jar, Ragú® Old World Style® Traditional Sauce is our richest, thickest recipe ever! To find more authentic Italian recipe ideas visit facebook.com/ragusauce. You can also enter to win a trip to Italy for four people! Visit the Ragú Better and Better Sweepstakes for a chance to win great Authentic Italian themed prizes, including the trip to Italy. This is a sponsored conversation written by me on behalf of Ragú®. The opinions and text are all mine. This is a Sponsored post written by me on behalf of Sargento Foods, Inc. for SocialSpark. All opinions are 100% mine. Getting tired of cold sandwiches and canned soup for lunch? Sargento Cheese is encouraging us to take a real lunch. Mid-day meals don't have to be hurried, grab-whatever-you-can-find affairs. Slow down and plan a real lunch. This Easy Pizza Rice Casserole uses a few quick ingredients. If you have leftover rice, it's even quicker. The Italian Sausage and zucchini make for a hearty lunch. The dish gets topped with slices of Sargento provolone cheese. Who can resist a cheese topped casserole? Pizza Rice Casserole can be made for lunch at home, but it also travels well if you're sharing at the office. Or if you need to pack it up, use a soup thermos to keep it hot until lunch time. Guaranteed to cause lunch-envy in everyone around you! Pair this casserole with a green salad tossed with oil and vinegar dressing. I adapted this recipe from the More with Less Cookbook. I used instant brown rice, to make things quicker. Instant brown rice has all the nutrition of the long-cooking variety, but can be made in 5 or 10 minutes. I also added chopped zucchini and swapped out the ground beef for more flavorful Italian sausage. Cook brown rice in water according to package directions. Brown sausage, onion and garlic in skillet over medium heat until sausage is cooked fully. Add zucchini to the skillet 5 or 7 minutes before sausage is done. Drain meat and rinse with hot water to remove extra grease. Return meat to the skillet. Stir in tomato sauce and oregano. Stir cottage cheese into cooked rice. Pour rice into greased casserole dish. Place Sargento cheese slices over top of meat. Bake at 350 for 20 minutes or until hot. 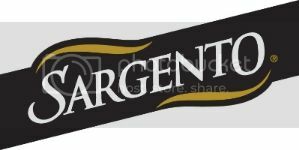 Sargento Natural Cheese comes in many varieties. My cheese drawer almost always has several types. We especially love the ultra-thin slices. What's your favorite kind of real lunch? I created this sandwich a few weeks ago on a night when I was in a hurry. I’ve fallen into a bad habit of working in the afternoon. That’s not the bad part. The bad part comes in when I finally look up at the clock and realize it’s already 5:30 and I haven’t started dinner. I forget which meal this Italian sausage was meant for, but it worked perfectly in these sloppy joes. And the good thing is, you probably have all the other ingredients in your pantry. They also can be made in about 15 minutes. Perfect! This Italian spin on the traditional sloppy joe tastes a lot like pizza. Which meant that my family loved them. So did I. They reminded me a lot of the flavor of Pizza Potpie.